All materials displayed or otherwise accessible through this Site, including but not limited to text, graphics, videos, photos, trade-marks, logos and other materials (collectively, “Content”) are protected by copyright and trade-mark laws, and are owned by Robert Herjavec and his licensors, or the party accredited as the provider of the Content. Except as granted in the limited licence herein, any use of the Content, including modification, transmission, presentation, distribution, republication, or other exploitation of the Site or of its Content, whether in whole or in part, is prohibited without the express prior written consent of Robert Herjavec. Subject to the terms and conditions of this Agreement, you are hereby granted a limited, non-transferable and non-exclusive licence to access, view and use the Site for your personal, non-commercial use, and are granted the right to download, store and print single copies of items comprising the Content for your personal, non-commercial use, provided that you maintain all copyright and other notices contained in such Content. Subject to applicable law, in no event shall Robert Herjavec, or its partners, employees, consultants, agents, or licensors(“Robert Herjavec Released Parties”) be liable for damages of any kind including, without limitation, any direct, special, indirect, punitive, incidental or consequential damages including, without limitation, any loss or damages in the nature of or relating to lost business, lost savings, lost data and/or lost profits arising from your use of, reliance upon, or inability to use the Site or the Content, regardless of the cause and whether arising in contract (including fundamental breach), tort (including negligence), or otherwise. The foregoing limitation shall apply even if Robert Herjavec knew of or ought to have known of the possibility of such damages. The Site and the Content is provided “as is” and “as available”, without warranty or condition of any kind, either express or implied. Robert Herjavec expressly disclaims all warranties and conditions, including any implied warranties of merchantability, fitness for a particular purpose, title, quiet enjoyment or non-infringement in respect to the Site and the Content, to the fullest extent permissible under applicable law. While Robert Herjavec endeavors to provide Content that is correct, accurate and timely, no representations or warranties are made regarding the Site and/or the Content including, without limitation, no representation or warranty that (i) the Site or Content will be accurate, reliable, complete, current, timely or suitable for any particular purpose, (ii) that the operation of the Site will be uninterrupted or error-free, (iii) that defects or errors in the Site or the Content will be corrected, (iv) that the Site will be free from viruses, malware, worms or other harmful components, and (v) that communications to or from the Site will be secure and/or not intercepted. You acknowledge and agree that you are using the Site and the Content, if applicable, at your own risk and liability. You hereby agree to release each of the Robert Herjavec Released Parties from, and in no event shall any or all of the Robert Herjavec Released Parties be liable to you or any other person or entity, for any and all liabilities and damages (including any direct, indirect, special, exemplary or consequential damages, including lost profits) whatsoever or arising from your use of the Site (including any breach by you thereof), the Content or otherwise relating to this Agreement and you agree that your sole remedy for any claim, loss, damage, costs or expenses is to cease using the Site. You will indemnify and hold each of the Robert Herjavec Released Parties from and against any claims, losses, judgments, damages, costs and expenses (including without limitation, reasonable legal fees) incurred by any of them due to or resulting from your use of the Site, the Content or otherwise relating to this Agreement (including any breach by you thereof). You will also indemnify and hold the Robert Herjavec Released Parties harmless from and against any claims brought by third parties arising out of your use of Content from this Site. Information sent or received over the Internet is generally not secure. Robert Herjavec cannot guarantee security of any communication to or from the Site. Robert Herjavec does not assume any responsibility or risk for your use of the Internet. Robert Herjavec and the Robert Herjavec logo are trademarks of Robert Herjavec. Other names, words, titles, phrases, logos, designs, graphics, icons and trademarks displayed on the Site may constitute registered or unregistered trademarks of Robert Herjavec or third parties. 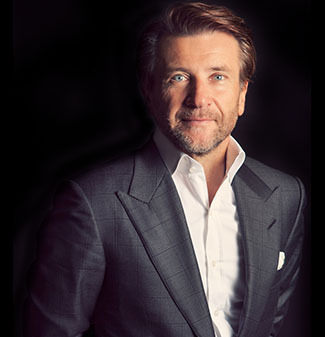 While certain trademarks of third parties may be used by Robert Herjavec under licence, the display of third party trademarks on the Site should not be taken to imply any relationship or licence between Robert Herjavec and the owner of said trademark or to imply that Robert Herjavec endorses the wares, services or business of the owner of the said trademark. The Site is operated by Robert Herjavec from its headquarters within the Province of Ontario, Canada. By accessing or using the Site, you agree that all matters relating to your access to, or use of, the Site and its Content shall be governed by the laws of the Province of Ontario and the federal laws of Canada, without regard to conflict of laws principles. You agree and hereby submit to the non-exclusive jurisdiction of the courts of the Province of Ontario with respect to all matters relating to your access to and use of the Site. Except for any agreement in respect of Content, this is the entire agreement between you and Robert Herjavec relating to your access and use of the Site and the Content herein. If any term or provision of this Agreement is held by a court of competent jurisdiction to be invalid, it shall be severed and the remaining provisions shall remain in full force without being invalidated in any way. You may not assign, convey, subcontract or delegate your rights, duties or obligations hereunder. Robert Herjavec will not be considered to have waived any of its rights or remedies described in this Agreement unless the waiver is in writing and signed by Robert Herjavec. No delay or omission by Robert Herjavec in exercising its rights or remedies will impair or be construed as a waiver. Any single or partial exercise of a right or remedy will not preclude further exercise of any other right or remedy. Robert Herjavec’s failure to enforce the strict performance of any provision of this Agreement will not constitute a waiver of Robert Herjavec’s right to subsequently enforce such provision or any other provisions of this Agreement. The headings used in this Agreement are included for convenience only and have no legal or contractual effect.